Apple chief executive Tim Cook has promised to oppose a court order that would have the company create a compromised version of iOS with weakened encryption, the result of FBI requests for help in accessing data stored on an iPhone 5c used by a gunman in the San Bernardino shooting. 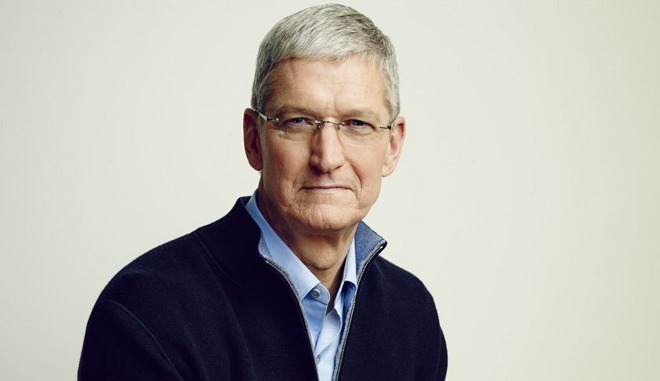 "The United States government has demanded that Apple take an unprecedented step which threatens the security of our customers," Cook wrote in an open letter posted on Apple's website. "We oppose this order, which has implications far beyond the legal case at hand." Specifically, the FBI wants us to make a new version of the iPhone operating system, circumventing several important security features, and install it on an iPhone recovered during the investigation. In the wrong hands, this software —which does not exist today —would have the potential to unlock any iPhone in someone's physical possession. Cook's strongly worded critique comes less than a day after a federal judge ordered Apple to aid law enforcement technicians attempting to break into an iPhone used by Syed Rizwan Farook. Officially the property of the county health department for which Farook worked, the iPhone 5c was password protected by the gunman and is set to erase a stored decryption key after ten unsuccessful login attempts. According to Apple's own documents, it is nearly impossible to break into an iOS device running the latest operating system revision, in this case iOS 9. Apple stopped storing security keys with iOS 8 to implement an encapsulated encryption method that entangles a pass key with the device UID. Any attempt to break this strong encryption would have to take place on the phone itself. Further, the validity of the FBI's bid to sequester Apple's help is tenuous at best. The order notes officials hope to employ a brute force attack after Apple provides a custom software image file capable of disabling or bypassing the iOS password attempt counter. If such software exists, code breakers would still need to overcome the 80 millisecond cool down period between tries. Apple estimates it would take a supercomputer over five and a half years to crack a six-digit passcode with lowercase letters and numerals. Brute-forcing a stronger passcode could take decades. In short, iOS was built to withstand the very attack vectors proposed by the FBI. The government suggests this tool could only be used once, on one phone. But that's simply not true. Once created, the technique could be used over and over again, on any number of devices. In the physical world, it would be the equivalent of a master key, capable of opening hundreds of millions of locks —from restaurants and banks to stores and homes. No reasonable person would find that acceptable. The government is asking Apple to hack our own users and undermine decades of security advancements that protect our customers —including tens of millions of American citizens —from sophisticated hackers and cybercriminals. The same engineers who built strong encryption into the iPhone to protect our users would, ironically, be ordered to weaken those protections and make our users less safe.